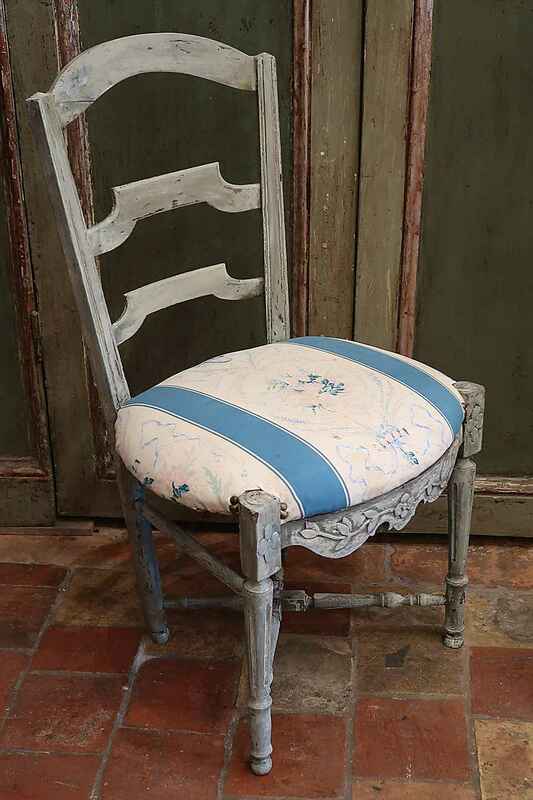 18TH CENTURY FRENCH PROVENÇALE SIDE CHAIR WITH CARVED FRONT AND STRETCHER. W 18" D 16½" H 34¾" H (SEAT-TO-FLOOR) 17½"
18TH CENTURY FRENCH PROVENÇALE SIDE CHAIR WITH CARVED FRONT AND STRETCHER. W 18" D 16½" H 34¾" H (SEAT-TO-FLOOR) 17½"